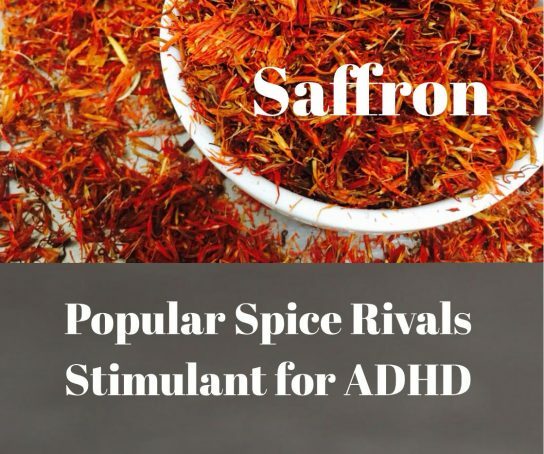 The popular and expensive spice saffron (Crocus sativus L), appears to be as effective as the stimulant methylphenidate(MPH) in treating symptoms in youngsters with attention deficit hyperactivity disorder (ADHD), new research suggests. In a randomized 6-week trial, a team of investigators from Tehran University of Medical Sciences in Iran, found there were no significant differences in efficacy or adverse events in the saffron vs stimulant methylphenidate group. “From this preliminary study, the main point is that we can consider saffron as an alternative [to stimulants] in patients with ADHD,” senior author Shahin Akhondzadeh, PhD, FBPhS, DSc, professor of clinical psychopharmacology, Roozbeh Psychiatric Hospital, Tehran University of Medical Sciences, Iran, told Medscape Medical News. “Short-term efficacy of saffron demonstrated the same efficacy as methylphenidate, although larger, controlled studies with longer treatment periods are necessary to verify the findings,” he said. Stimulant methylphenidate, which is commonly used to treat ADHD, has many side effects, including loss of appetite, sleep disturbances, and nausea, the authors note. Moreover, approximately 30% of children do not respond to stimulant methylphenidate, leading to a search for nonstimulant strategies. “Many antidepressants have been used as alternatives to stimulants in patients with ADHD that cannot tolerate Ritalin or do not respond to Ritalin,” Akhondzadeh said. However, antidepressants are also associated with adverse events, with results that are “often unsatisfactory,” the authors note. This leaves an “empty place to be filled by alternative medications, in particular herbal medications,” they add. Saffron has traditionally been used for a variety of medicinal purposes, including its antispasmodic, antiseptic, anticancer, and anticonvulsant effects. Saffron and its active constituents appear to increase the reuptake inhibition of dopamine and norepinephrine and are N-methyl D-aspartic acid (NMDA) receptor antagonists and GABA-α agonists. “As you may know, my country is the main producer of saffron and about 90% of saffron is from Iran — indeed, saffron is a Persian herb with history as long as the Persian Empire,” Akhondzadeh noted. “There are solid documents in the Persian traditional medicine about the psychotropic effects of saffron, but we need evidence-based medicine in traditional medicine as well. “My research group at Roozbeh Psychiatry Hospital has studied the psychotropic effects of saffron since early 2000, and we have documented its antidepressant effects,” he added. The study was published online February 11 in the Journal of Child and Adolescent Psychopharmacology.